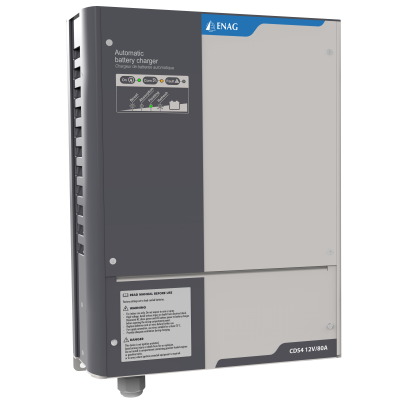 ENAGs new generation of CDS4 battery chargers (24Vdc) continues to evolve with the introduction of a high power range. Enhanced functionalities, more efficient battery charging with the option of voltage compensation to correct line drops. Polyvalent, it can be used as a battery charger, a DC power supply or integrated into your back up power supply systems.